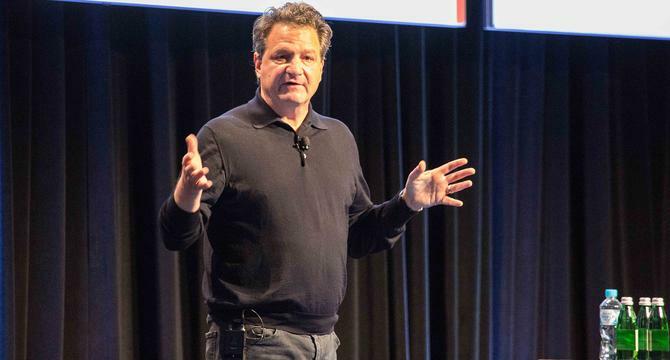 Too many brands still focus on who they are and lack the noble cause and purpose required to meet the expectations of modern consumers, Silicon Valley brand guru, Allen Olivo, claims. Speaking at this year’s ADMA Global Forum, the former Apple, PayPal, Yahoo! and Amazon marketing expert shared key lessons in the art of building brands that matter to the end consumer, and why “humanising” is more important than ever in sustaining brand success. “When we talk about brands, we often use words like relevance and modern. But one of the most important words we forget about is sustainability,” Olivo told attendees. “You don’t want to have to keep rebuilding and rebranding your company and lose track of what you stand for. This makes spending time to identify what your noble purpose is as an organisation vital, Olivo said. That has to not only be unified across countries and towns, it’s just as important for B2B brands as it is for B2C. Finding your noble cause is about knowing what you stand in a way customers know and believe is true, Olivo continued. Another core focus needs to be on the customer journey, Olivo said. “What are they going through as human beings, and how do you find places for your brand to add value? Because you’re not going to change the customer journey,” he said. Comparing brand sophistication to Maslow’s ‘Hierarchy of Needs’ pyramid, Olivo said brands must move up from who they are and what they do, to articulating how they do it and most importantly of all, why they do it that way. Olivo offered up three ways successful brands humanise their engagement. The first is they have a point of view on how stuff gets put together. Comparing Apple to other PC manufacturers of the time, for example, Olivo noted Apple offered a point of view and why you do it that gave it a higher order purpose. It was Apple that recognised it had to make the computer the easiest thing to use for consumers, creating a human user (GUI) interface and terms such as ‘cut’, ‘paste’, and ‘trash’. The second thing human brands do is signal intent. “This is about saying, if I want you to stay with me, and be part of my ecosystem, I have to let you know where I’m going internally as well as externally,” Olivo said. The third thing human-oriented brands do to gain authenticity is solve for universal human truths, Olivo said. To illustrate this example, he pointed to PayPal, which lost its way after being bought by eBay, and had then extended into a payment mechanism for the wider Internet, then offline via the phone. So the brand repositioned back on the human element – that money matters to everyone and they can determine what to do with it on their terms. “If you understand the human journey and make it really simple and understand what they are trying to accomplish, you start to create a much more robust customer experience approach,” Olivo added. Through all of this, it’s vital to tell the story well and simply, Olivo said, so both consumers get it, as well as your employees.